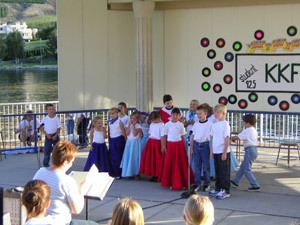 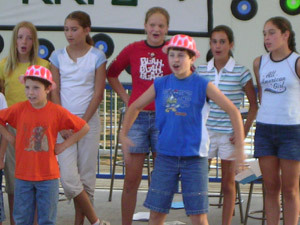 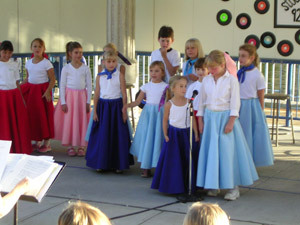 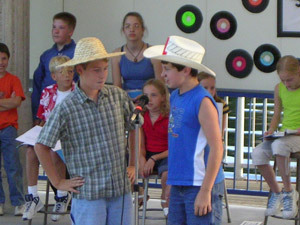 The 2004 Summer Children's Theater Workshop was a wonderful success! 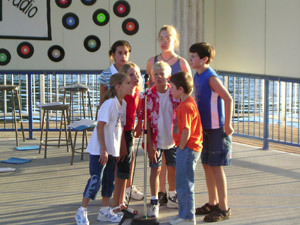 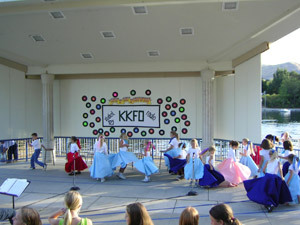 After a week of rehearsals and fun, parents and community memebers enjoyed performances at the Riverwalk Pavilion on Saturday, August 7th. 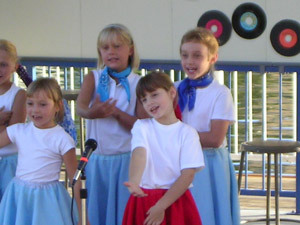 The Kindrama kids showed their parents what they'd been learning on Friday morning, August 6th. 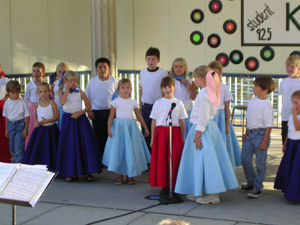 Consider enrolling your Preschool through 7th grader in next year's workshop.